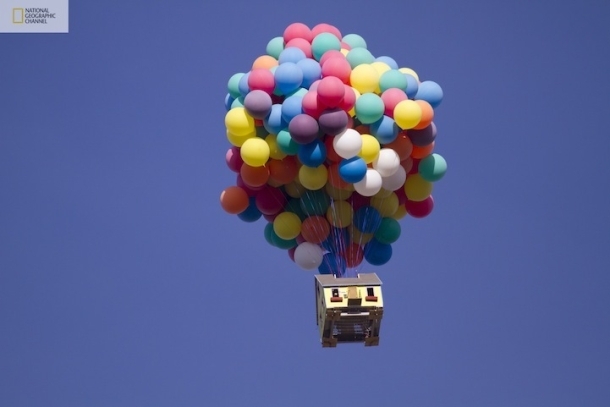 The picture is from National Geographic’s article about a team of scientists recreating the scene from the cartoon Up, where a bouquet of balloons lifts a house upwards into the sky. 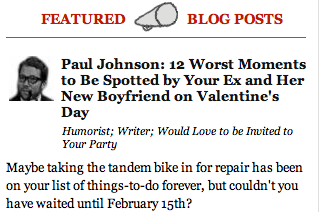 Suggest a better headline in the comments section. Quick! Stop them before they multiply…too late! When you invited the red balloon over for the birthday party, you didn’t tell me that it was bringing all of its friends! Under an electron microscope, we can see a house molecule attempting to bond with a protein strand. Since most accidents occur in the home, the govt will now require airbags with all newly constructed homes. Could this be a pigeon loft for birds with a cat phobia? After reaching sexual maturity the male Rambler displays his balloons in hopes of attracting a female Two-story. Unfortunately, with only 2 bed 1.5 bath, evolution would suggest a more fitting Duplex or worse, a Government-Subsidized-Multi-Family with narrow hips. Kind of a long headline but once I started I just had to write the full David Attenborough version. Arizona announces new housing program for undocumented workers.